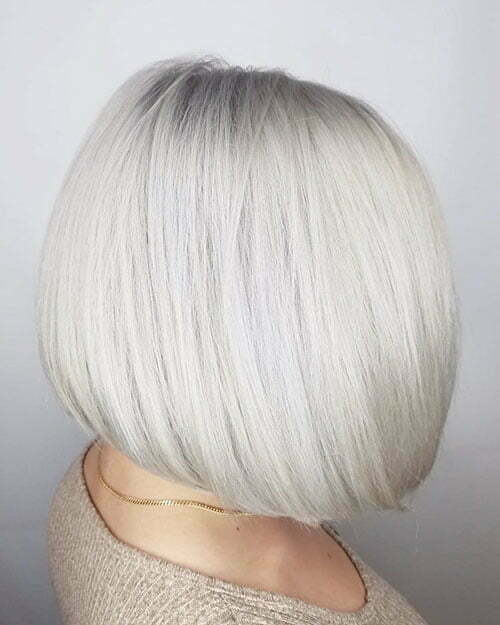 Bob haircuts are among the most popular and favorite cuts for women. 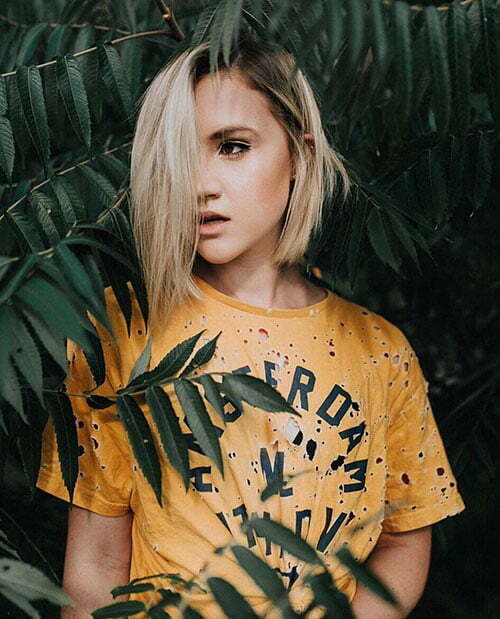 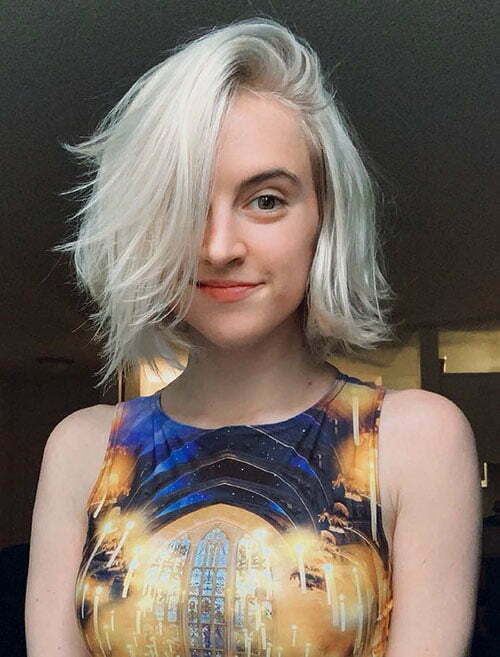 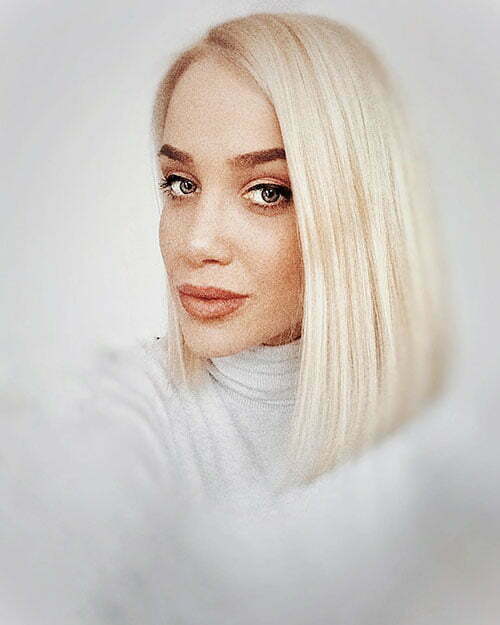 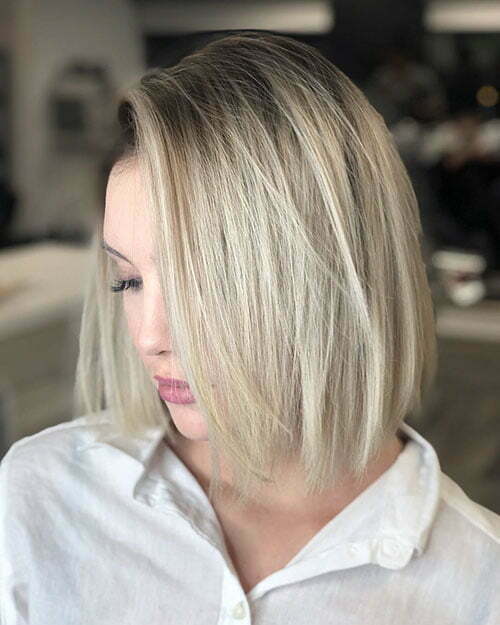 Today we have collected Blonde Bob Hair Ideas in 2018 – 2019 for your perfect and lovely look. 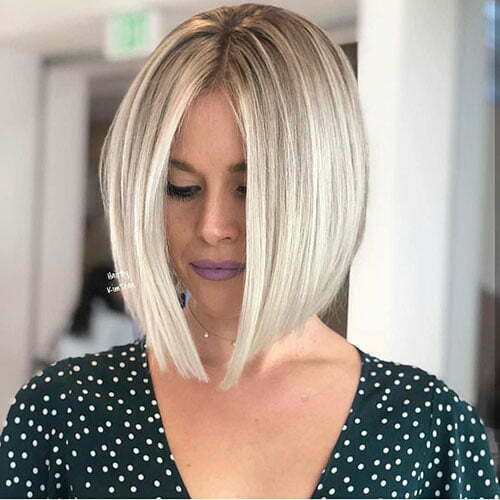 The right chosen bob cut will upgrade your look and make you feel so stylish. 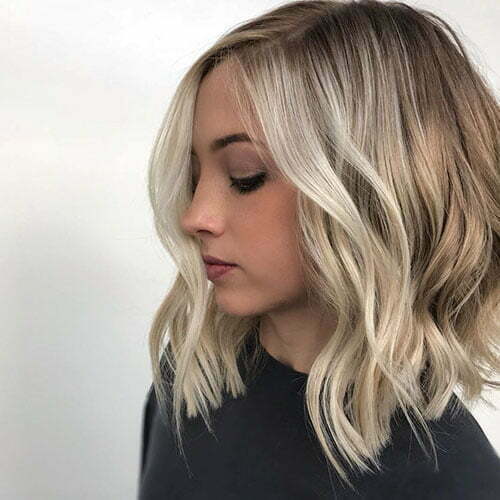 Blonde women are hot and when they choose a bob hairstyle, they become even hotter. 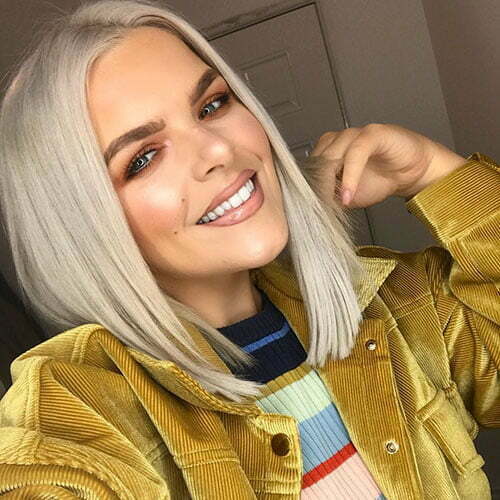 Being a relatively low-maintenance solution for women, bob haircuts can be styled within minutes and suit for any type of face. 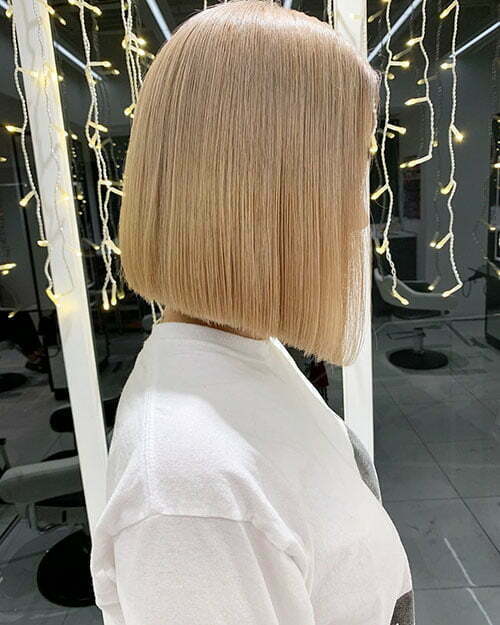 Even if you have been sticking to long cut for years, you will fall in love with the bob ideas we have provided you below. 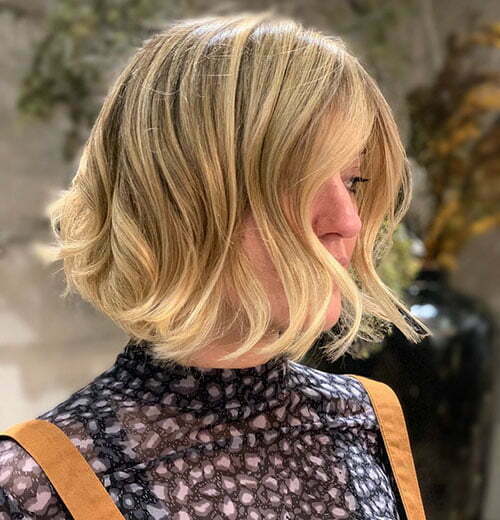 One of the best choices for your seasonal update can be one length blonde bob with bangs. 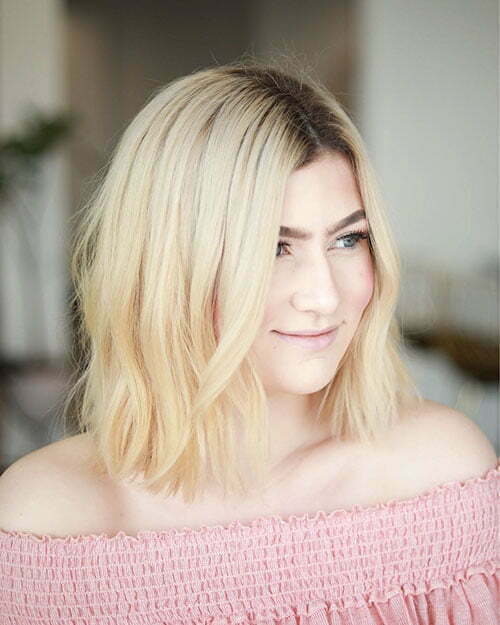 If you are blessed with straight hair then this haircut will suit you perfectly. 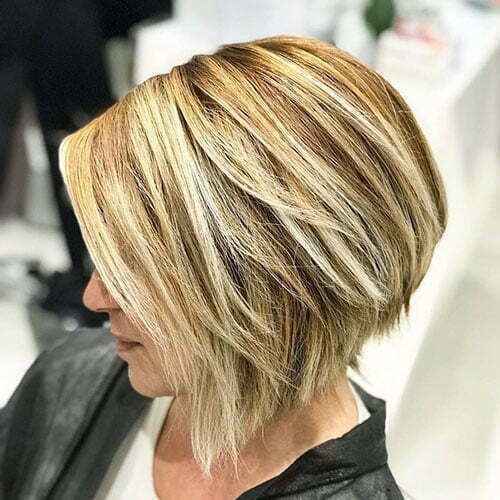 Consider using highlights in order to create dimension in short bob hairstyles. 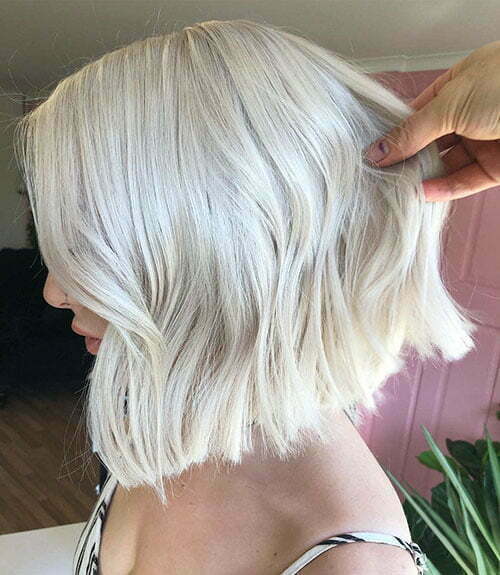 This bob cut is a chic hairstyle with depth and sufficient volume, so try it and you won’t regret. 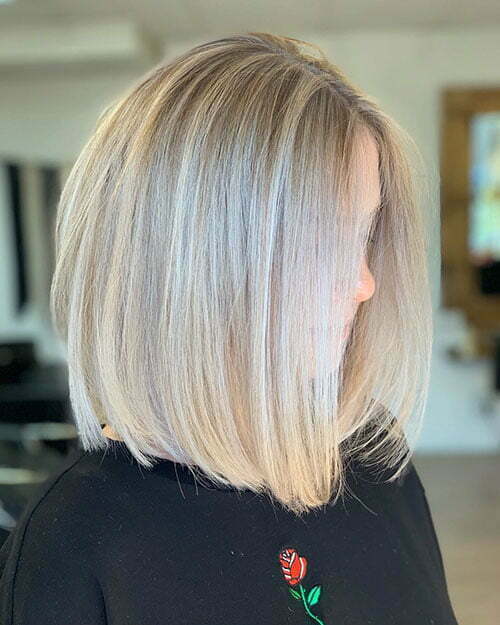 We also offer you to try graduated bob hairstyles and opt for blonde highlights and low lights to make your bob look fuller. 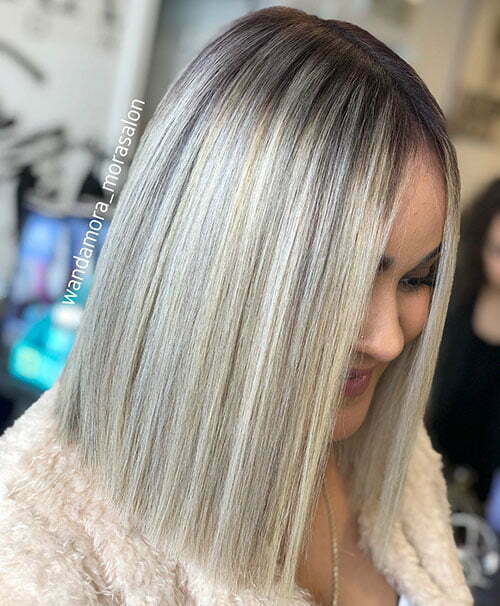 Highlights should be two shades lighter while the lowlights a bit darker. 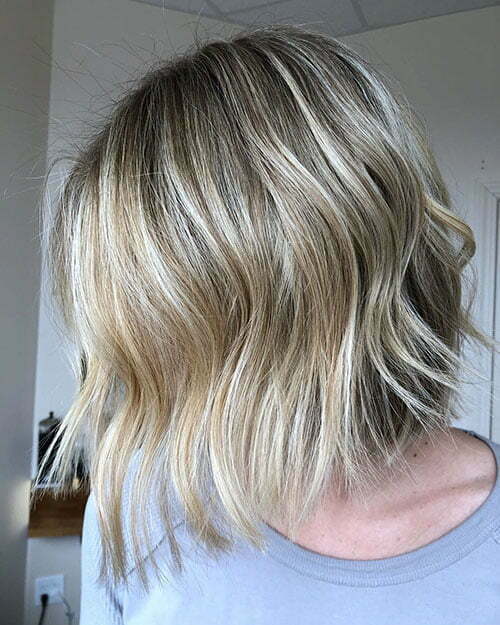 This mix of two blonde shades will create a perfect dimension. 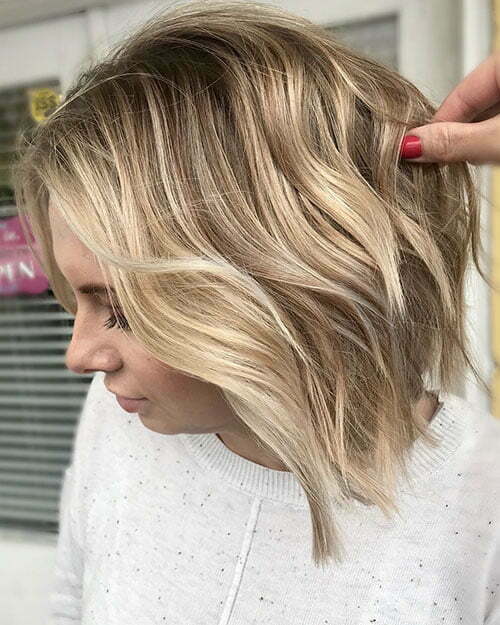 Layered blonde bobs are also stylish nowadays. 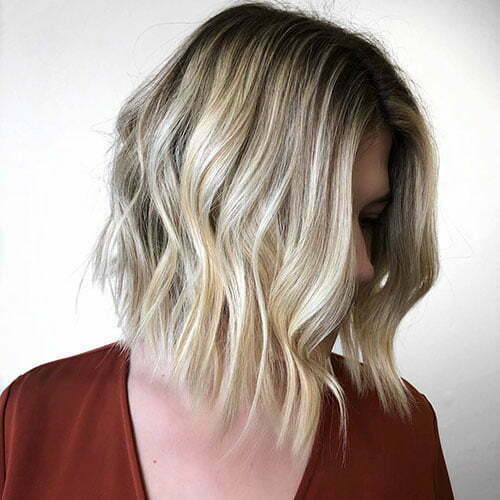 The shorter blonde pieces will work perfectly together while the longer strands will keep the length. 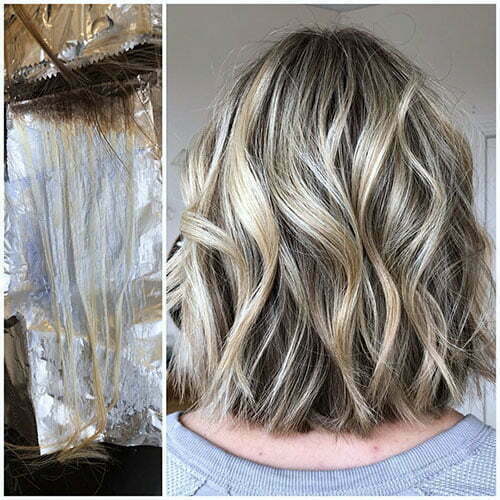 In order to create that textured look, you can also use a spray. 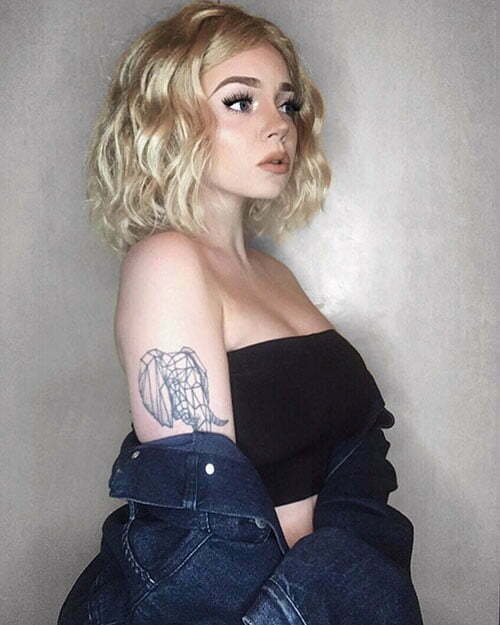 Wispy shorts bobs are trendy this year as well. 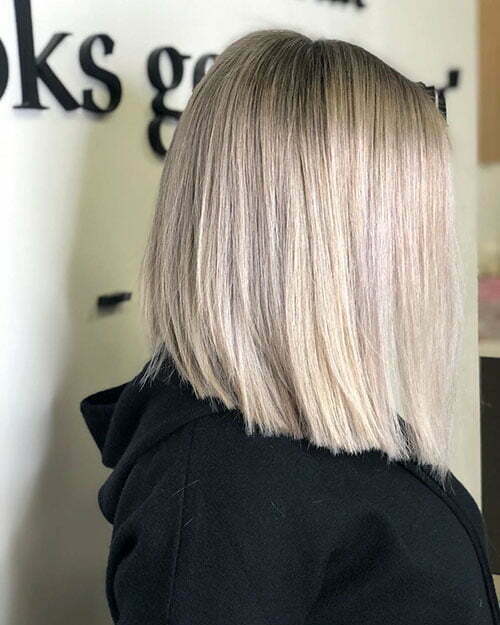 Just bump the ends to achieve texture. 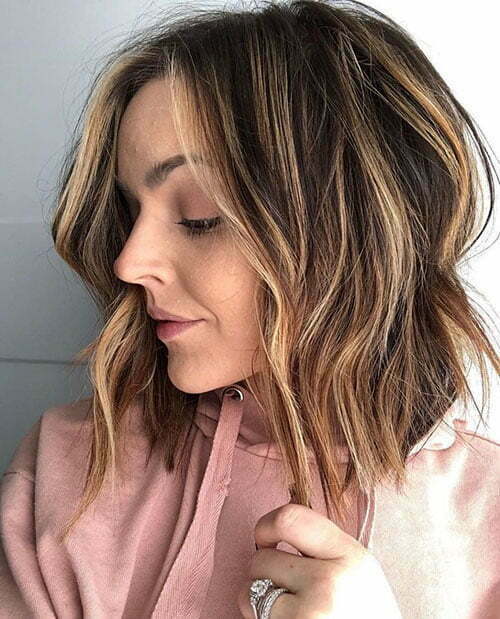 You will have a great movement throughout the layers and your look will be so fresh and stunning. 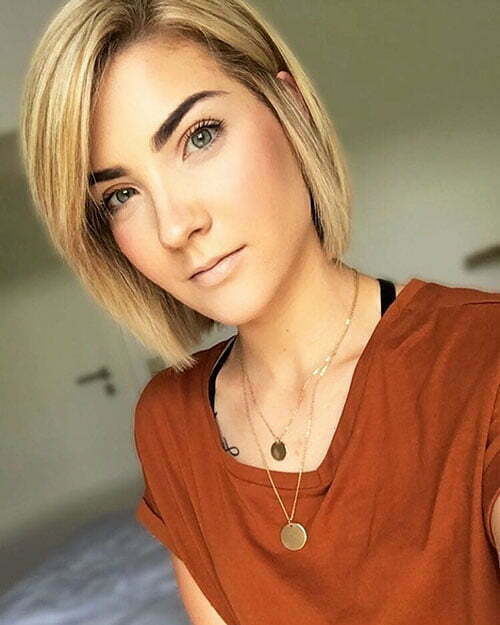 Stacked blonde short hairstyle is another popular cut for stylish women. 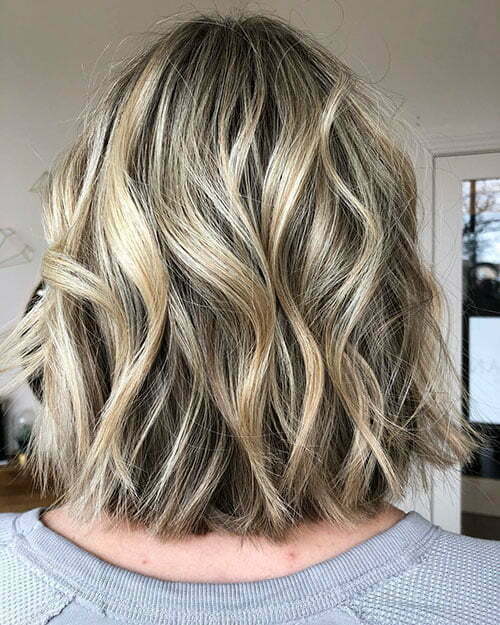 If you are an active and busy woman then you need to try a hairstyle that is low maintenance and can be styled within minutes. 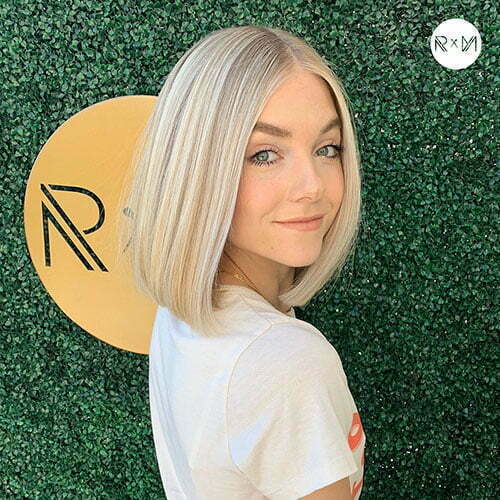 This blonde look can be pulled back as well with just a headband and your strands won’t make you nervous at all. 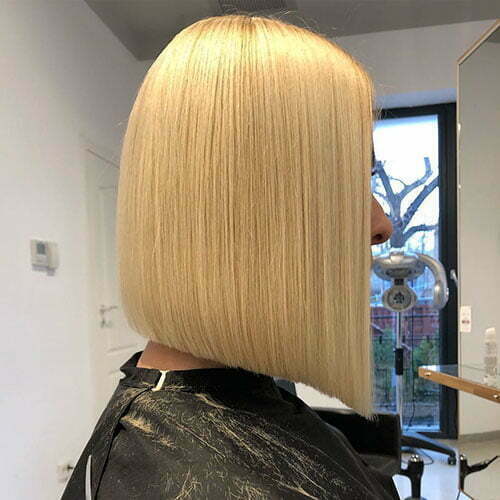 If you are looking for an elegant and very effective hairstyle then champagne blonde bob is what you need. 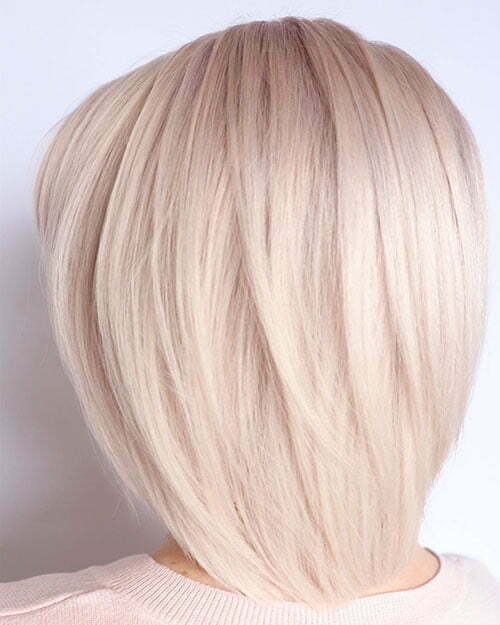 This champagne look is edgy and very soft. 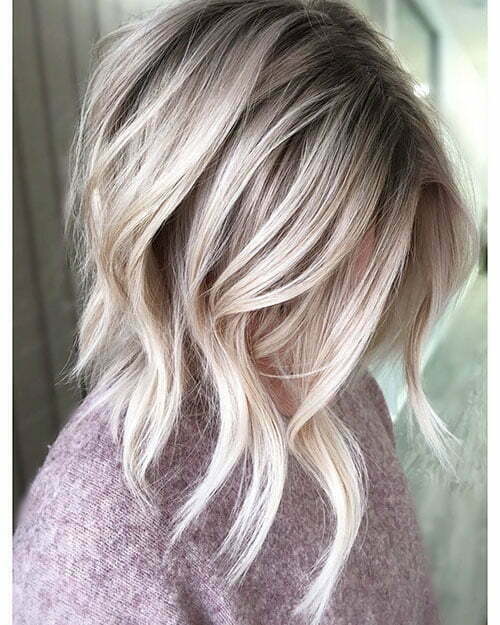 Just add some dark roots and stacked layers in the back and you will just achieve your desired stylish look. 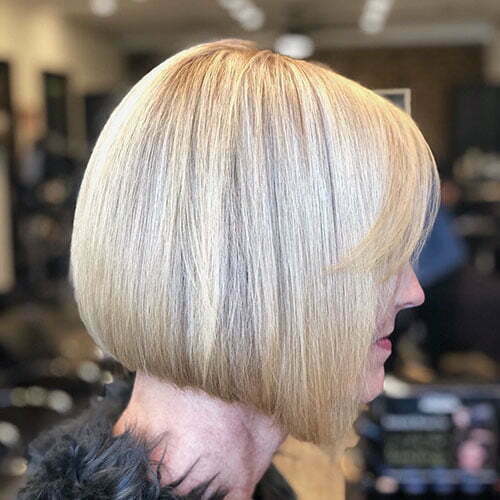 If your hair is thin and you want to find a suitable blonde bob cut then try angled bob hairstyle. 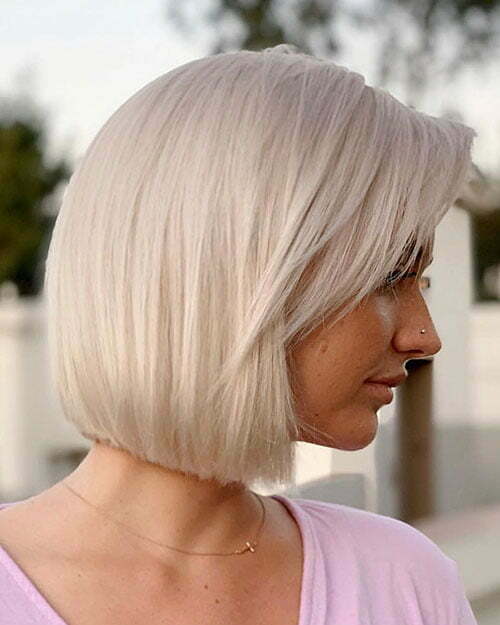 Angled chin-length bobs will create the illusion of fullness in the back making your hair look very thick. 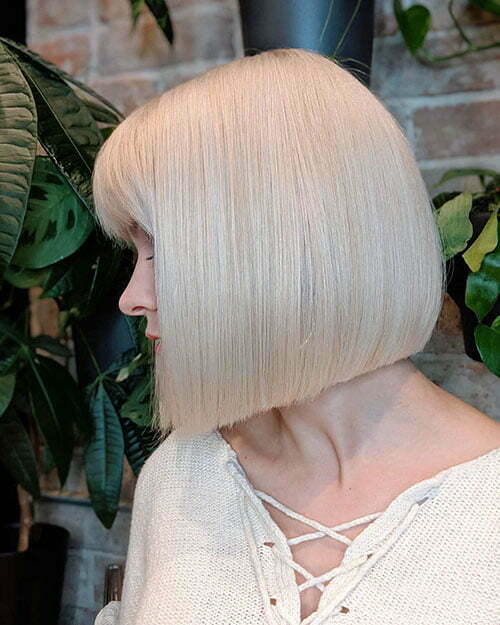 Keep your bob longer in the front so you can soften your face and frame it beautifully. 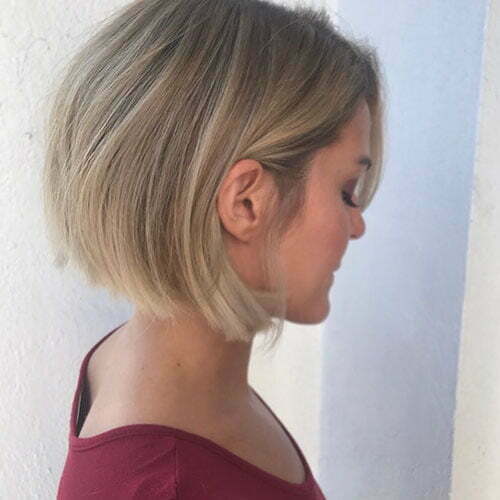 Another perfect blonde bob cut is asymmetrical long bob. 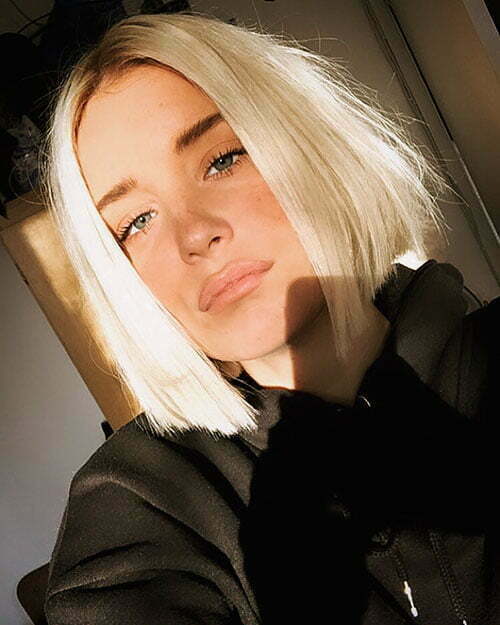 If you have a round face then this cut is ideal for you. 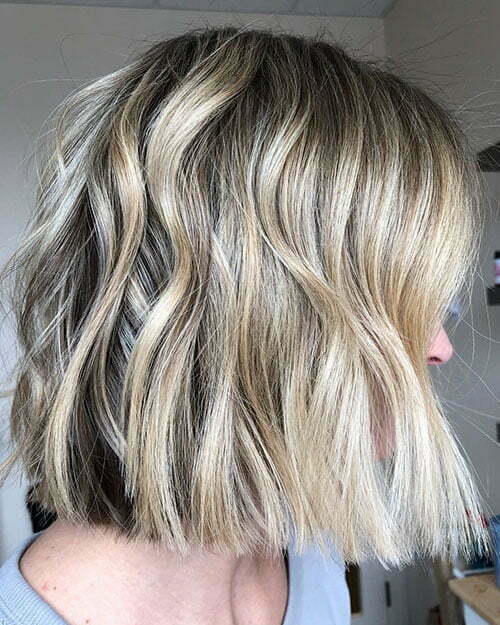 Round faces look best when bangs are side swept. 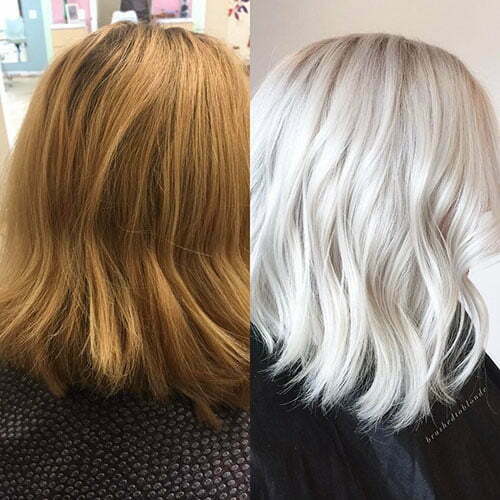 This helps your face look longer. 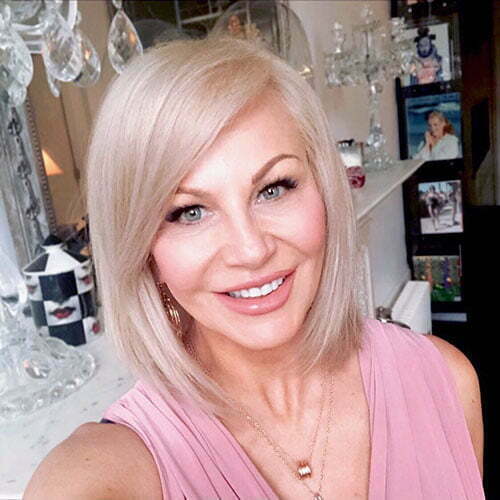 Besides, the longer side of your cut blends with side swept fringe and you achieve a visual elongation. 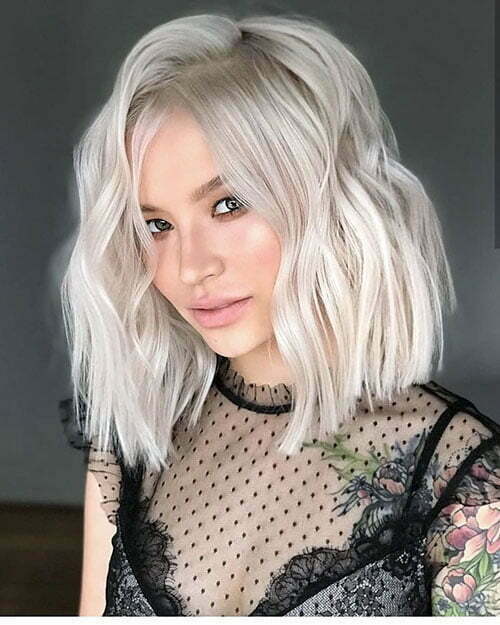 Now view the gallery below and choose one of the looks that suit you best.